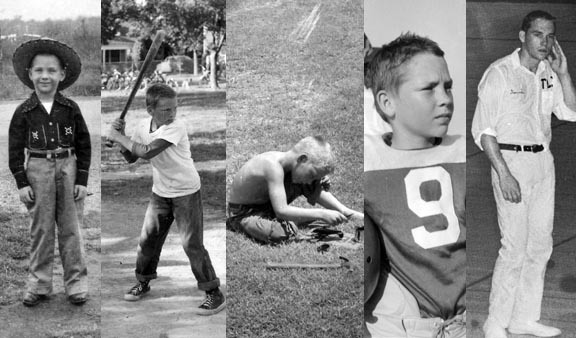 Native Texan, sandlot softball, backyard painter, football star, sweaty cheerleader…. Everyone, especially an artist, brings to their work all that they are; their experiences, their environment, their relationships. But today we are only what we are now. Tomorrow will continue to add to those influences. Thirty years working with the Dallas Park and Recreation Department exposed me to people of all ages and interests, from pre-schoolers to seniors, from the active to the sedentary. Playing and coaching soccer and refereeing as a national-level, professional soccer referee introduced me to a world-wide assortment of nationalities, ethnicities and cultural differences. After retirement I was finally able to re-commit myself to my love of creating art, utilizing the exposure I had received from the people I had met. A cartoonist by nature, my business card declares the motto, “Not Too Serious Art,” along with the artist epithet, SirColby, a signature I’ve playfully used since high school when my history teacher discovered I might be descended from King Etzel of the Huns (aka Attila). And yet I do have a serious side, exemplified by vivid drawings that capture the subject matter’s character. I feel having worked so closely with such a variety of people has allowed me to fully appreciate the subtle intricacies of personality, especially when people are going through the ordinary task of living life. My acrylic paintings are more impressionistic in style with a controlled use of color. My murals often allow me to merge my whimsical cartoonist urge with the more profound painting approach.